The recipient for 2018 is Christchurch Helicopters. A leading provider of helicopter pilot training in New Zealand. Christchurch Helicopters also assists Fire and Emergency New Zealand fighting fires during the summer season, as well as assisting DOC save the endangered Orange-Fronted Parakeet. The recipient for 2018 is Andy Ashby. 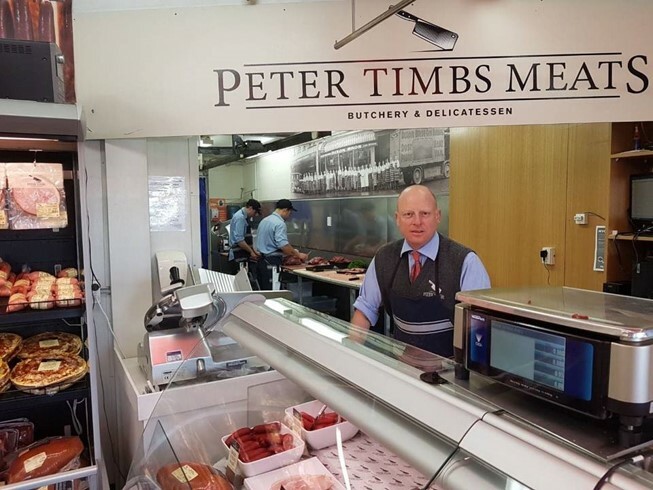 Andy has been in butchery for 39 years and appreciates that every customer pays his wage. He also notes that if you see someone without a smile, you should give them yours. Andy works at Peter Timbs Meats at Bishopdale. The recipients for 2018 are The Coffin Club members Donna Sutherland, Jill Newton and Peter Isle. The Coffin Club began as a dream after hearing about the club in Rotorua and meeting the founder Katie. They were focused on cheaper caskets for all people and supported the women’s hospital for still birth and cot death out of their proceeds . With retirement looming Donna decided to do this in Christchurch. 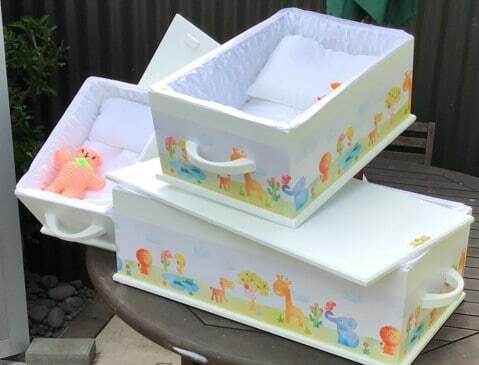 Donna now works alongside Peter and Jill making angel boxes (baby caskets). Peter who is a retired joiner creates the caskets, with Donna and Jill painting and decorating the caskets at the MenzShed and at home in their angel shed. These are then supplied to the women’s hospital free of charge when required at this sad time. During his time at Burnside High School, Gray has been massively involved in a range of leadership roles, Sports representation and School Service activities. His involvement has included Hockey, Squash, Waka Ama and Korfball – Gifted and Talented groups, Student Council, World Vision organisation, West Division Head Prefect and Head Boy as well as a long list of Academic Awards. His all-round talent combined with a high degree of integrity have earned him the respect of both his peers and teaching staff at school. For an extremely busy young man, Gray has still managed to maintain an excellent academic record with more than three quarters of the NCEA credits he has received being at Excellence level. All of this has been achieved in a calm and rational manner and exemplifies his time management and organisational skills. The work Gray does for and with the school is done in a selfless manner and he readily makes himself available to work for the benefit of others, without ever expecting anything in return.